Having a good set of pots and pans makes a huge difference in the kitchen. 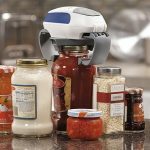 Not only does it make food cook better and more evenly, but it also opens up new techniques and recipes for you to try. One of the most interesting developments in the cooking world recently is the arrival of red copper pans. These are nonstick pans with a new special surface that is tough, easy to clean, and long-lasting. In this post, there will be some buying tips, five red copper pan reviews, then some discussion of what red copper is and why it is a good choice for a pan. 2.7 What exactly is red copper and why is it important? 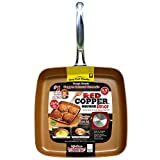 2.8 Why should I buy red copper instead of a normal nonstick pan? 2.9 Is red copper safe? 2.10 Do I need to use butter or oil with red copper? 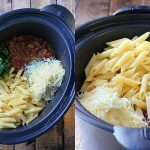 There are several important characteristics that pans can have and which you need to consider when you make a new purchase. First of all, the pan has to cook evenly. This is probably the most important thing that a pan can do. No matter what you are cooking, it will not turn out right if the surface of the pan is cooking inconsistently. Some food will cook too quickly and other parts too slowly. Speaking of cooking styles, pans are not just for use on the oven top. You might wind up putting it into the oven or the broiler as well. Each pan works a little differently. For example, the handle design can affect how hot the handle gets and how easy it is to grab. That determines whether it is a good fit for the oven or not. The maximum temperature tolerance affects how hot it can get before being damaged. Pans also have different weights, changing how difficult it is to lift and carry them. If you are making sauces, you might want a divot in the rim for pouring. Lastly, consider durability. The longer a pan lasts, the more value you get out of it. This is important for pans because you get used to a pan’s characteristics and how it cooks, so you don’t want to change pans too often. A good pan costs money, too, so it’s expensive to purchase them repeatedly. Thinner pans heat up more quickly, but they also don’t last as long in general. Read online reviews to learn about how long a pan should last. Typically nonstick pans last the shortest, then stainless steel, then cast iron. More durable pans tend to cost more. BulbHead’s 5 piece set is based around their square pan, which is 10 inches across. The pan has the nonstick red copper coating over its entire cooking surface. The set also includes a transparent glass lid, a steamer rack, a frying basket, and a booklet with recipe guides and suggestions. The pan itself can handle temperatures up to 500 degrees, so it is suitable for frying at high temperatures or for baking food. The pan is made of aluminum with the red copper coating layered on top. The coating is durable, so it won’t chip or flake off under normal use conditions. The coating is free of PFOA or PTFE. It is safe to be washed in the dishwasher or with mild soap if cleaning by hand. The pan has a full capacity of 4.5 quarts. The pan is highly versatile and the nonstick surface means you can cut down on using olive oil or butter to grease the pan for cooking. That goes both for stovetop cooking and baking. The recipe guide contains some inspiration if you are not sure how to make the best use of the pan. It stands out by having high sides that allow for more cooking surface and a greater ability to fry, steam, or sweat food. That, combined with how easy it is to clean, gives the 10-inch square pan from BulbHead a distinct edge. BulbHead sells a set of 10 pans and lids that all use the red copper coating. 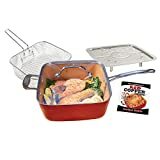 The full list of items included in the set is a fry pan 8 inches in diameter, another fry pan 10 inches in diameter with its own lid, a 1.5 quart sauce pot and its lid, a 2.5 quart sauce pot with lid, a 6 quart pot with lid, and a steamer insert made of aluminum. 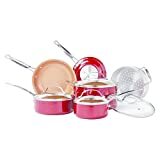 Each of the pots and pans in the set is made of aluminum with a red copper coating that is made with ceramic and copper alloy. All of the pieces are safe in the oven up to 500 degrees Fahrenheit. The nonstick coating means there is no need for oil, butter, or other grease. This makes cooking and baking healthier and lower in fat. Each of the pots and pans has a variety of uses both on the stove and in the oven. For example, you could cook chicken on top of the stove, then drop some dough onto the pan and slide it into the oven for biscuits. Use the six quart pot to make chili and fry up some wings in one of the smaller pots. The value of the set is that it provides all of the pots and pans you need for virtually any type of cooking. None of them are quite big enough to handle cookies, cake, or pies, but smaller baked goods and pasties are fine. 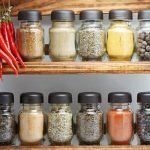 The fact that they are easy to clean minimizes the time you have to spend on maintaining them, although it is a good idea to season the first time and re-season occasionally. The 10-inch frying pan from BulbHead uses the same red copper and ceramic coating as their other products. It does not come with a lid- it is just the pan itself. The handle is heat-resistant so that it will be easy to grab when you have been cooking on the stovetop. With a temperature resistance of 500 degrees, it will perform well in the oven. In fact, one of the best uses of this pan is to start off chicken, lamb chops, or a steak on top of the stove to give it a nice crisp or the right color, then slide the pan into the oven to finish off the cooking. 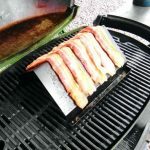 The nonstick surface ensures that the meat will come off the pan quickly and easily, and there’s no need to add any extra fats or oils to help it cook. Of course, if you do want to add butter or oil for the flavor, then that will work perfectly well. It just isn’t necessary. 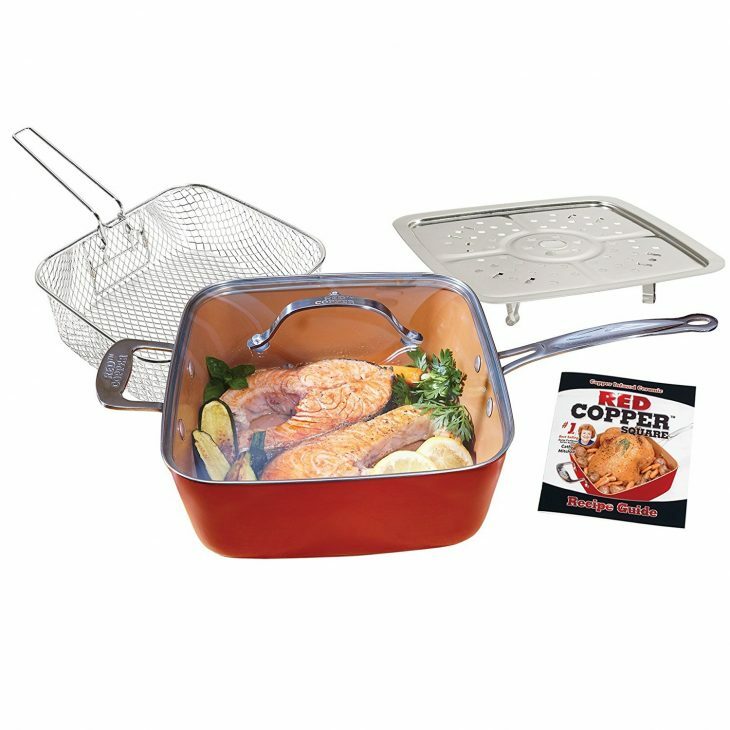 One of the best things about the red copper coating is that it performs well as a nonstick surface, but it is also particularly long-lasting. 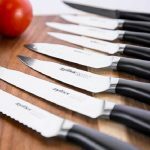 It is not recommended to rely too much on metal utensils and other implements because it is more likely to cause scratches than a wooden or plastic implement, but it still should hold up to normal use. That means your money goes farther, because you won’t need to replace the pan anytime soon. You also don’t need to worry as much about the tools you use as you would if you were using pans with a lesser coating. The 9.5 inch square pan is both wide and deep. It is ideal for frying because it has high walls, but not so high that you need more oil to heat it properly. The square shape gives it a large amount of surface area, because the walls become just as hot as the base. That means you can cook more food at once, since if it is contacting the walls, that is just as good as contacting the base. The walls also send more heat into the interior, cooking food faster and more evenly. Putting it into the oven is easy because it can handle up to 500 degrees of heat, which is the top end of most home ovens. The pan will work well on any type of stove, too, including glass and inductor. The red copper coating will hold up to plenty of use, both on the base and the sides. That includes not only stirring and rubbing from cooking, but also the high temperatures from the stove and the oven. Other coatings will tend to break down at high temperatures which means they will separate from the pan and mix into the food. The red copper is designed to bind well with the aluminum that makes up the inner material of the pan, so it won’t break free. The dance pan is not dishwasher safe. It needs to be washed by hand with a mild, gentle soap and toweled dry. The dance pan also needs to be seasoned before its first use according to the included instructions. It would also benefit from being seasoned again every once it a while just to keep it in top shape. Aside from that, it does not need any particular care. This pan is not made by BulbHead, but by another brand that makes use of red copper. It is about 9 inches across and is square in shape. The coating is the usual composite of copper and ceramic over an aluminum base, which binds together ideally so that the coating lasts longer than copper alone. It has the same properties as the BulbHead version, such as long-lasting strength and minimal sticking. As with other red copper pans, it is wise to preserve the surface by avoiding the use of metal instruments when possible, but the surface still holds up better than other types of coating. This pan is a little different in design from the BulbHead version. Specifically, it is slightly smaller and the walls are noticeably lower. 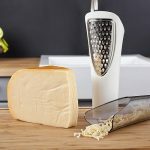 This makes it a little less suitable for frying because it cannot hold as much oil and the walls will not hold in any popping oil. However, the lower walls are better for other kinds of cooking, especially eggs, because it is easier to slide cooked food over them onto a plate. The lower walls are also better for any kind of baking or time in the oven, because it is easier to see inside the pan and it allows the heat to reach the food directly. Whether you want this pan or the BulbHead one depends on how you plan to use it. The smaller size and lower walls give it a different set of ideal uses. It uses the same coating, so that size and design difference is the biggest thing that separates the pans. Think about how likely you are to fry and need the larger surface area of the bigger pan, or whether you don’t need that much space and would rather work with the lower walls. What exactly is red copper and why is it important? Red copper is a composite material that is a combination of copper and ceramic. Both copper and ceramic are used on their own as coatings. Copper is popular in nonstick pans because it resists stickiness and it maintains its cohesion for a long time. Ceramic appears mostly as an enamel on cast iron pots and pans. Combining them allows for a coating that still works well at defeating stickiness, but lasts even longer than copper alone. This happens because the chemical makeup of red copper means that it binds more strongly to aluminum than other materials would, so it won’t come off as easily if it gets scraped or chipped. 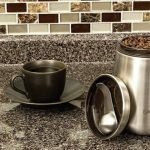 The copper and ceramic heats evenly without cold or hot spots. As with other nonstick surfaces, it is also fairly easy to clean red copper. Why should I buy red copper instead of a normal nonstick pan? The biggest differences are the durability and the even cooking. The close bind between the coating and the pan surface means that the heat from the stove or oven will be distributed evenly from the aluminum core to the cooking surface. If this bind is not as close, then heat does not conduct as efficiently from the bottom of the pan to the surface, and that creates hot and cold spots. This same close bind is the reason behind the durability advantage. With regular nonstick pans, the weaker binding means the nonstick surface might scrape off or flake into pieces with enough use. That takes much longer to happen with red copper. Yes. Red copper is a highly safe material. Many other nonstick surfaces have to use the chemicals PFOA and PTFE in order to maintain their nonstick properties. However, these chemicals are notorious for separating from the pan and mixing into your food. These chemicals are associated with problems related to the heart, liver, and thyroid, so it’s very good to be able to cut them out of your cooking. Red copper is also tough enough to not chip off the pan the way weaker materials do, so the risk of contamination is eliminated. Do I need to use butter or oil with red copper? Generally speaking, no. The fat is not needed to help the food cook and avoid sticking because the red copper already does that. 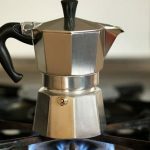 There are some recipes where you might want an oil or butter for flavor or to help it get a particular surface on the food, especially if you are cooking meat with skin. If you want to cook without the butter or oil, you can cut down on the fat content without compromising how the meal cooks, making it a more healthy and less greasy choice. A red copper pan is not quite the same as other pans. You will need to season it before you use it for the first time. Seasoning is a process that originated with cast iron pans and is necessary due to the presence of ceramic in the coating. When you buy a red copper pan or a set of pans, it will come with an instruction booklet that tells you exactly how to season the surface. Seasoning the pan gives you a better nonstick surface and a longer lifespan. Depending on how much you use the pan, you might want to season it again at some point, but it is only really necessary the first time. Pay close attention to the brand and model of pan that you buy. Some of them can be washed in a dishwasher, while others should only be washed by hand. Generally, you can use a regular dish soap if you are cleaning them by hand. The nonstick surface means there usually is not much cleanup to do, but sometimes oils and fats can leave a residue, especially at higher temperatures. The nonstick surface of red copper pans is strong, but not invincible. The more you can avoid scraping against it with metal or sharp plastic, the longer it will last. This means things like metal tongs, metal spatulas, forks, whisks, mixers, and anything with an edge should not come into contact with the red copper surface. There are wooden or soft plastic equivalents of most of these items that you can use instead. Using something metal probably won’t cause any damage, especially at first, but the more you do it, the more risk there is of a scratch. The ceramic and copper composite is probably going to heat up at a different rate than you expect. If you are used to cast iron pans, then the red copper will heat faster than you are used to, and if you use nonstick, then the red copper might feel a little slow. Get used to the speed so that you don’t put your food in too early, before the pan is at its proper temperature. Consider using a drop of oil at first so that you can use it to track the temperature of the pan. Unlike a cast iron pan, there is no need to oil the red copper surface, even though it has ceramic in it. You should be sure to clean and dry the pan before you put it away so that no stains will harden on it. Even if the pan looks clean, going over it once with soap and water is a good idea just to be completely sure that there is nothing left on it. It’s a good habit to maximize the lifetime of the pan. Put it away dry so that you don’t get water droplets in the cabinet, although the pan itself won’t rust. The bottom line is that red copper is an exciting new development for fans of nonstick pans. 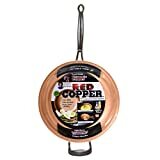 If you have been frustrated in the past because a nonstick surface cracked, flaked, chipped, or peeled, then it is worth trying out one of the red copper pans on this list of red copper pan reviews, especially the red copper square pan reviews. Square pans are efficient and useful in many contexts. However, any red copper pan you use should last longer than just about any other nonstick surface.